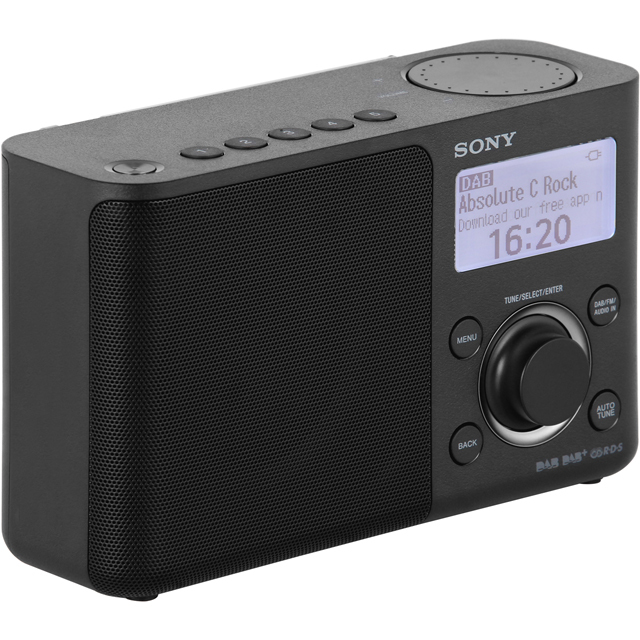 Tune in to your favourite broadcasts on-the-go with this stylish, portable digital radio from Sony. 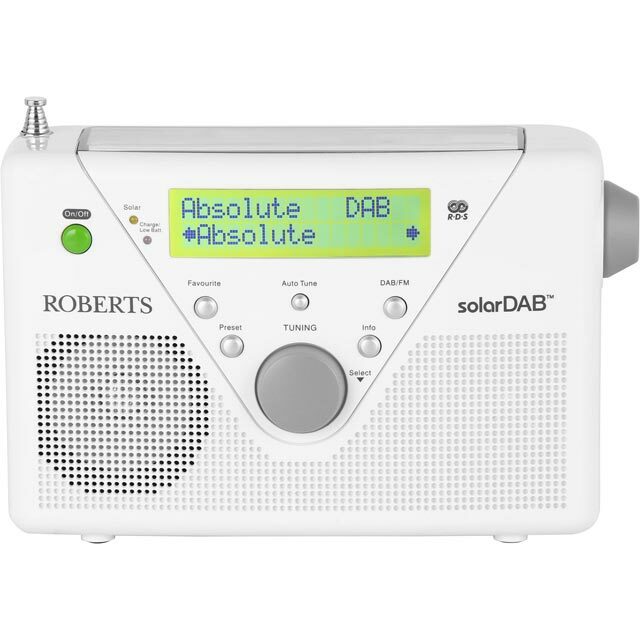 You’ll have no problem finding something to listen to, since the DAB/DAB+ and FM tuners offer a huge choice of stations - and it even includes the option to save 5 pre-sets in each mode when you’ve found a programme you like. 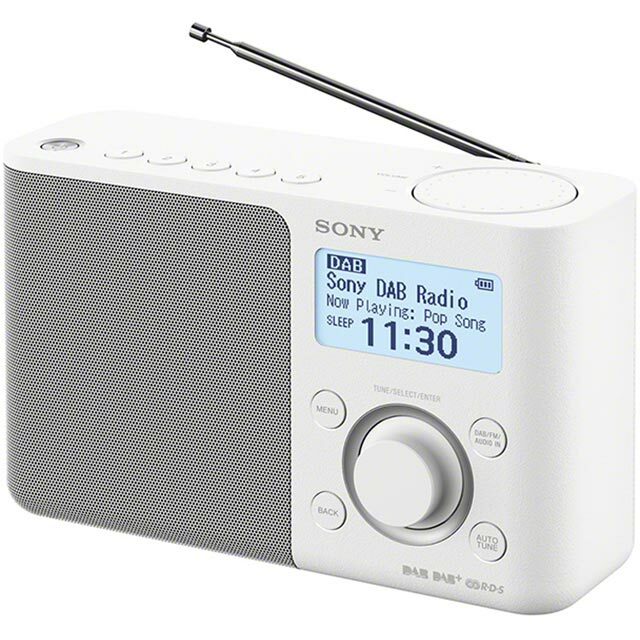 It’s really simple to get started as well, just plug into the mains or pop in 4 AA batteries and you’re ready to go. 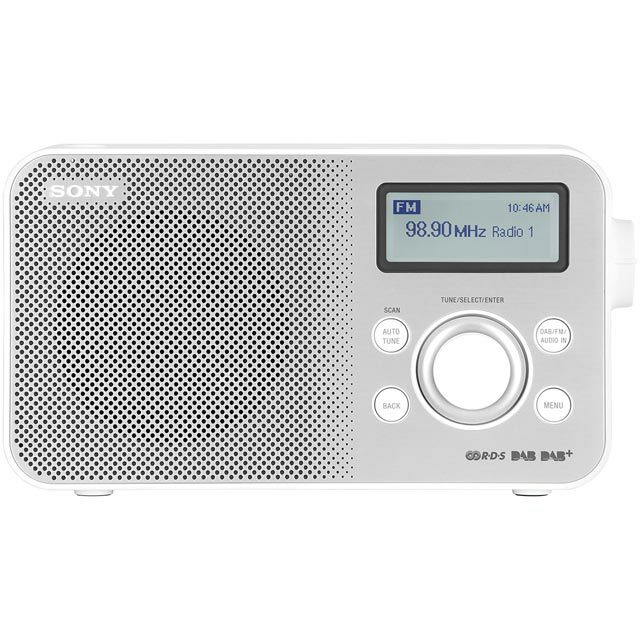 The LCD display lets you see exactly what you’re listening to, and you can even schedule wake-up and sleep timers so your radio will switch on and off whenever you like. 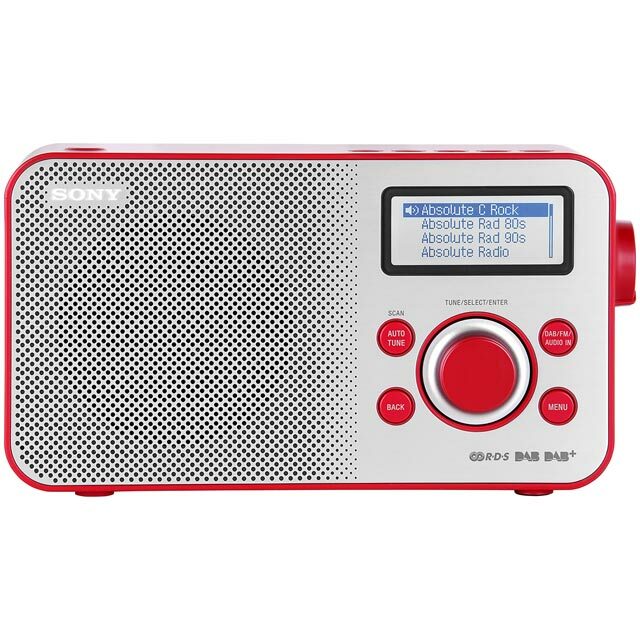 Easy set up and sound perfect and rubber on base of radio stays put when turning on and off.